We are going to break form here - I want to discuss a cause being taken up by a number of musicians seeking change - and better lives for hundreds of thousands of children and civilians whose lives are being torn apart by endless war. Dustin Kensrue from Thrice, Switchfoot's Jon Foreman, Chris Conley of Saves the Day and Jim Ward (of Sparta, Sleepercar and At the Drive-In) and Aaron Weiss from mewithoutyou will perform a special acoustic concert this Friday in LA to help raise awareness and support for a great cause. Invisible Children, a non-profit organization that provides education and economic relief to war-torn northern Uganda, has enlisted some of their biggest supporters to come out to West Hollywood's legendary Troubadour club. THE BENEFIT CONCERT: Kensrue will be performing songs from his brand new holiday album, This Good Night Is Still Everywhere (released digitally 11/18 on Vagrant) and his debut solo release, Please Come Home, which debuted on the Billboard Top 200 chart. "Musicians have so much potential to inspire their audience and include them on issues happening around the world," says Kenny Laubbacher from Invisible Children, "it's amazing to see this group of individuals embrace that power and act on it for a positive influence." The concert is sponsored by MySpace, Jedidiah Clothing and SocialVibe, the event will also jump-start multiple auctions for limited-edition and one-of-a-kind band paraphernalia including a Thrice backdrop from previous tours, Riley Breckenridge's drumset, hand painted guitars from Circa Survive, miscellaneous equipment used by Fall Out Boy, and more to come. ACCESS THE SHOW FROM YOUR COMPUTER: Planners just made us aware that fans will able to stream the entire acoustic program from their desktops at Band Crashers.com. The site looks to require registration to access the material, so do that now so you don't miss a beat on Friday! ABOUT INVISIBLE CHILDREN: Established in 2005, Invisible Children is a social, political, and global movement using the transformative power of a story to change lives. By inspiring youth culture to value creativity, idealism, and sacrifice, the movement fuels the most effective, adaptable, and innovative programs in the world. The movement started with a documentary film about children being abducted and forced to fight as soldiers for a rebel army in northern Uganda. The film, now seen by over 3 million people worldwide, has inspired a global movement of artists, musicians, and activists committed to using their time, talent and money to help end the 22-year war. 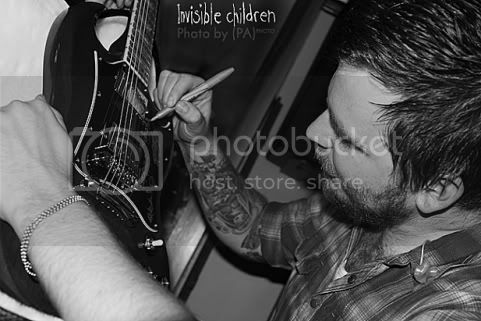 Throughout the year, Invisible Children tours with bands like Thrice and Fall Out Boy to continue spreading the word and getting people involved. 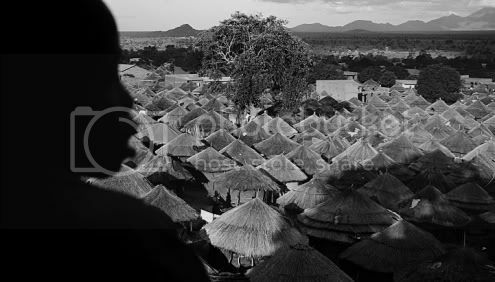 UNDERSTANDING THE CONFLICT IN UGANDA: The war in northern Uganda has been called the most neglected humanitarian emergency in the world today. For the past 23 years, the Lord’s Resistance Army (LRA) and the Government of Uganda (GoU) have been waging a war that has left nearly two million innocent civilians caught in the middle. The GoU's attempt to protect its citizens from this rebel militia has largely failed, leaving an entire generation of youth that has never known peace. The LRA rebel movement can be traced back to a woman named Alice Lakwena. In the 1980s, Lakwena believed the Holy Spirit spoke to her and ordered her to overthrow the Ugandan government for being unjust to the Acholi. Lakwena and her followers, known as the Holy Spirit Movement, gained momentum as resentment toward the government increased. When Lakwena was exiled and no clear leader of the movement was left, Joseph Kony, who claimed to be Lakwena’s cousin, took control and transformed Lakwena’s rebel army into the LRA. 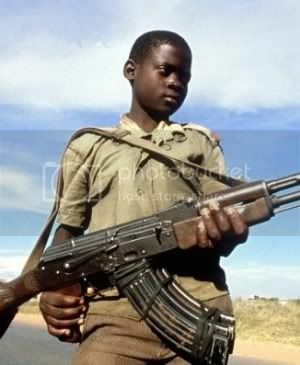 Kony’s LRA did not receive the same support as the Holy Spirit Movement because of their extreme tactics. With dwindling support for their cause and heightened government offensives, the rebels resorted to abducting children and indoctrinating them into their ranks. 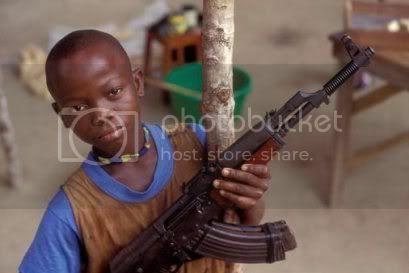 It is estimated that more than 90% of the LRA’s troops were abducted as children. The ROCK AUCTION: Bidding on Key Items this Saturday! In the song “this is your life” by switchfoot it is gets you deep in thought and leaves you wondering what is it that is very wrong in your life. I can see different styles of music in this song, but the one that I see the most is a softer rock that was passed on by the beetles. He is not like the rolling stones and there heavier style of music, but it is softer and easier to listen to. In the beginning of the song he asks us very hard question to answer. In the line “yesterday is a wrinkle on your forehead/yesterday is a promise that you've broken” he tells us that we shake off the bad things that we have done in the past or even yesterday that we don’t notice, like the promise that you have broken, implying that it was just another thing you’ve done . That shows a form of a metaphor because he does not literally mean that it is “a wrinkle on your forehead” but implies that every day adds something to you as a person. In the line “this is your life are you who you want to be” he speaks in a tone that is regretful for what he has done in the past, and that is a great example of elegiac because of the mournful tone that he speaks with. An example of hortatory could be found in the line “don’t close your eyes” saying that even though we have done bad things in your life you do to want to just give up on life but to look back and fix it so that you don’t regret it all later on in life. The line “this is your life are you who you want to be?” it makes you think about what you have done in the past to come to this point in your life, and are you happy with the way it came out to be. It makes you look at the little things you did that affected your life in a big way good or bad. That could be an example of a personal or ethical part of the song, but it could also be historical because it talks about looking at the past in your life. In the line “yesterday is a kid in the corner/yesterday is dead and over” it talks about you have to move on from the past, as hard as it may be. This could be an example of personal or ethical because it is something that you have to deal with. In the line”this is your life, is it everything that you dreamed that it your be/when the world was younger and your have everything to lose” talks about saying that did you do everything in your power to make today the best it could be. This is an example of personal or ethical because of it has you examine your own past. In the song it is mostly modern because of the way that it makes you look bad on truth. In the line “ This is your life are you who you want to be” it shows depth in exploring the underlying truth. This is true because it wants you to look back and show that in all that muck you made your life now a ton of a lot worse than what it should have been. In that same line it also shows purpose and design, this says that life has a purpose and design in all our sweat and tears. It makes us look back at what you did in your past to make who you are today. You can also see logos, which is when you want to see the underlying truth to the word. And it shows that because it wants you to find out what happened to get you this way.